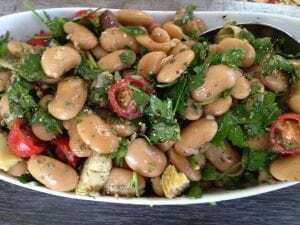 Gigantic heirloom Corona Beans make a wonderful presentation at table! a vinaigrette of extra virgin olive oil and Spanish sherry vinegar. 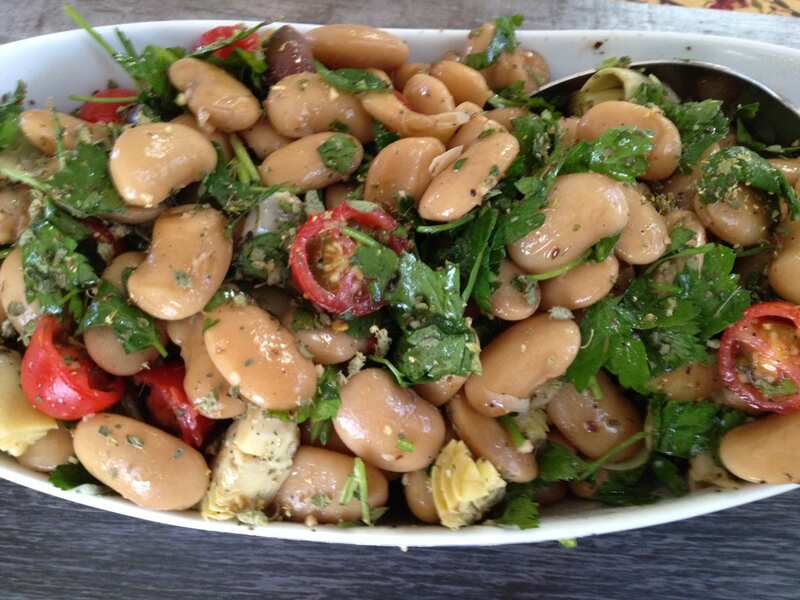 Serve my Mediterranean Corona Bean Salad alone or as a side dish to any grilled entrée! Enjoy with any grilled meat or on it’s own! A light white wine or summer beer is perfect!